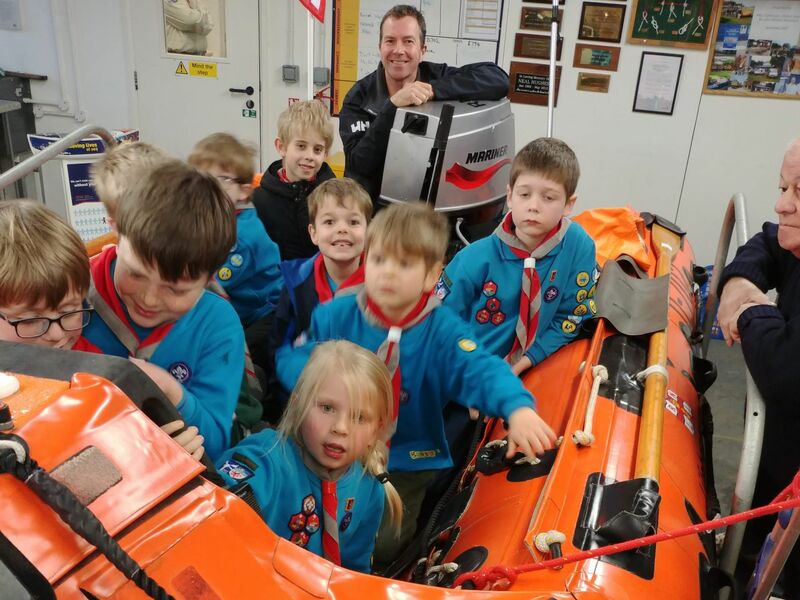 1st Dartmouth Beavers visit Dart RNLI lifeboat station. Rob Clements explains the emergency equipment on the boat. 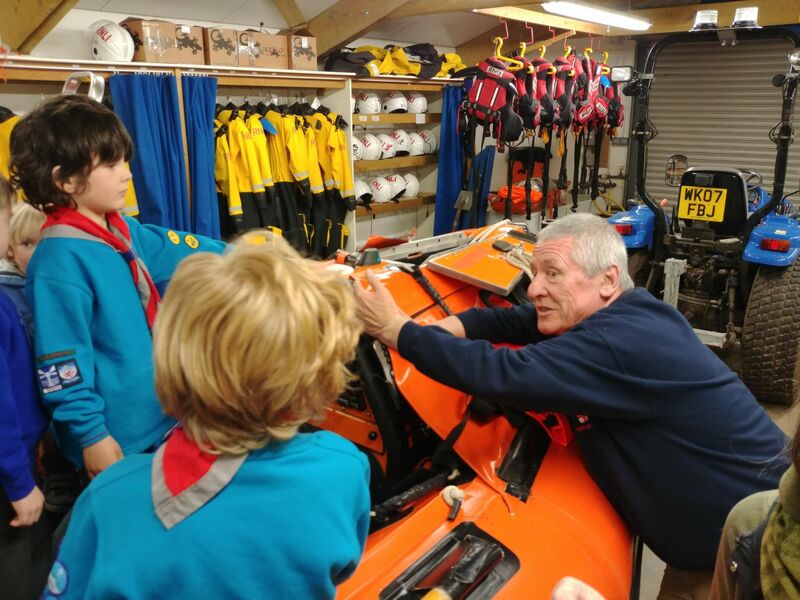 Eighteen young Beavers and two family friends, descended on the Dart RNLI lifeboat station in March for their annual visit. Laura Howell, their leader, and John Fenton the Dart RNLI Education volunteer, had put together the evening’s programme. There was an initial session when five from the RNLI team taught them three simple knots and made sure that they knew the eight main points of the compass. The group was then divided into two. Half remained in the boat hall and spent time in the lifeboat simulating what happens during a launch. The others watched a video shot by the lifeboat crew when two French trawlers capsized alongside the town quay in Dartmouth and the crews had to be rescued. The final minutes were spent in a competition to see who was best at remembering the points of the compass. The direction was called out and the Beavers had to jump to face that direction – and getting it right meant prizes! A great evening was had by all. John Fenton Dart RNLI Education volunteer. Kev Murphy and John Yunnie look on as their boat is taken over. There are no upcoming station visits.